Our curriculum is aligned with the Australian Curriculum. There is also an emphasis on educating the whole child by providing a number of extra-curricular programs and activities to ensure a well-rounded education. K-6 students are graded by age into mainstream classes. Classes are organised into 5 flexible learning spaces which enable whole class, small group and individual learning. Our individualised class programs provide enrichment opportunities for more able students. Specialist staff in Literacy, Numeracy and EALD support students both within the mainstream setting and in small groups. Students are also exposed to special programs run by staff from the Senior Campus with expertise in areas such as, Visual and Performing Arts, Hospitality, Science, Health & PE. Read more about the Classroom information. Literacy: expanding the repertoire of English usage that support students' growing understanding and use of Standard Australian English. These three strands overarch listening, speaking, viewing, reading, spelling, grammar, writing conventions and stress the importance of language across the curriculum. In Kindergarten the teaching of phonics underpins our reading program and there is a strong emphasis on the use of the child's own language and children's literature. Students in all year levels are monitored through a variety of assessment tools in reading, spelling and writing allowing staff to cater for individual student needs. 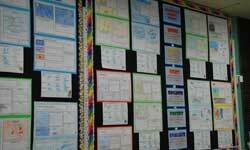 This area focuses on students developing a keen interest in mathematical ideas. Our curriculum is based on the Australian Curriculum and provides students with essential mathematical skills and knowledge in Number and Algebra, Measurement and Geometry, and Statistics and Probability. It develops the numeracy capabilities that all students need in their personal, work and civic life, and provides the fundamentals on which mathematical specialties and professional applications of mathematics are built. 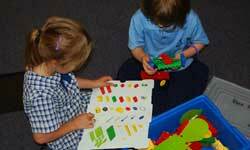 This is achieved through activities which enable students to develop clear understandings of mathematical concepts, enabling them to gain a wide range of skills and knowledge applicable to solving problems and investigating mathematical topics and mental computations. 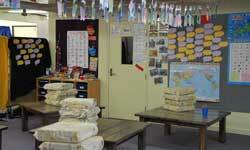 In this area students will cover all aspects of the History and Geography sections of the Australian Curriculum. It enables students to develop knowledge and skills through investigating the historical, cultural, social and environmental factors that shape their identity and society. Students are actively involved in clarifying and articulating attitudes, values and beliefs and developing the competence to participate as responsible and effective national and global citizens. The Science Curriculum focuses on interactive, hands-on science and embraces the elements of the Australian Curriculum which has three interrelated strands: Science Understanding, Science as a Human Endeavour and Science Inquiry Skills. Together, the three strands of the Science Curriculum provide students with understanding, knowledge and skills through which they can develop a scientific view of the world. Students are challenged to explore science and its concepts through clearly described inquiry processes. 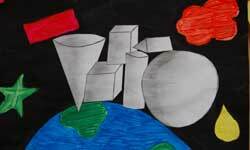 The Arts include Visual Arts, Drama, Music, Dance and Media. Through our Arts program students develop intellectual, social, physical and aesthetic understandings and skills which assist them to create, explore and communicate ideas and appreciate a variety of art forms. We offer a range of musical programs where students have expert tutors. 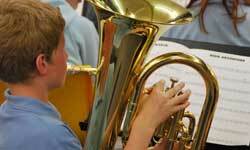 These programs include Brass Band, Guitar tuition, choirs and vary from year to year depending on staff availability. School programs encourage students to use technology productively and to become enterprising people. It involves students in generating ideas and action as well as using and developing techniques and products that satisfy human needs. 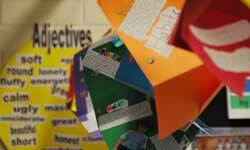 Through a process of designing, making and appraising, students generate ideas and translate them into practice. 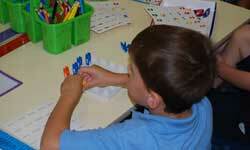 They explore, apply and develop information, materials and systems. 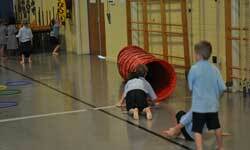 The program in Health and Physical Education aims to promote social, emotional and physical development. Developing positive attitudes and skills in a range of sports are important outcomes in this learning area as well as improving overall fitness. 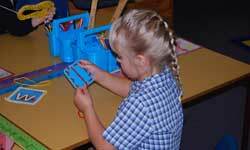 Children in Kindergarten to Year 2 are involved in programs to develop their gross motor skills. Students from Year 3 to Year 6 are offered opportunities to represent at a school, region and ACT. The Health curriculum encompasses a number of areas including human development and movement, people and food, the health of individuals and populations, safety and human relations. Drug education and protective behaviours are incorporated within these content areas. The school provides an outdoor education program for students in the upper primary including school camps and day excursions. A two-week swimming program caters for students from Kindergarten to Year 3 and a gross motor program also supports junior students. The student body is divided into four "house" teams, which are used for major sporting carnivals and for promoting academic, social effort and aptitude. Our houses are named after well-known local geographical features: Tennent (Red), Gingera (Blue), Namadgi (Green) and Billy Billy (Yellow). 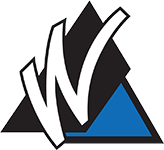 At Wanniassa School we recognise the potential of Information, Communication and Technology (ICT) to enhance the learning process for students. Our school is very well equipped with networked computers based on an IBM compatible platform. A fully networked computer laboratory is available to students in the Library Resource Centre. Students are also able to utilise digital technologies such as iPads, digital cameras and video cameras to enhance their learning. Networked computers and colour printers are also available to students in the classroom units. Students are introduced to the Internet and many appropriate software packages. These encourage students to develop an awareness and appreciation of technology in their everyday learning. Smartboards are also installed in all classrooms and students have 24/7 access to INTERNET based programs such as Mathletics, Spellodrome and Bug Club. 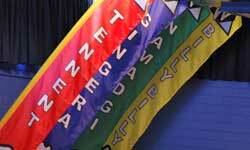 The purpose of a Language program is to promote an understanding and appreciation of another culture and its language. Japanese is taught at the Junior Campus from Year 3 to Year 6 by a specialist Japanese teacher as a compulsory learning area. 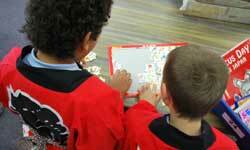 Students in Kindergarten to Year 2 experience Japanese through games, songs and activities. The Wanniassa School Library has a large collection of quality fiction, non-fiction and reference resources in a colourful, comfortable and engaging space. Our school community has 24 hour online access to hundreds of ebooks through our Library catalogue. Children access the Library regularly to browse and borrow books to enjoy at home and at school and families are also welcome to borrow. Students are involved in learning activities planned by our Teacher Librarian and a number of book and reading events and celebrations occur throughout the year. Children have an opportunity to participate in musical activities including guitar groups and choirs. Free guitar tuition is offered to students in Year 3 to 6. The program is dependent on staff availability and run during lunchtime. Students are required to supply their own guitars. Choir is offered as part of a lunchtime program. Wanniassa Junior Campus is well known for its Wakakirri performances. Students from Year 4 to 6 take part in Wakakirri Story/Dance every two years and have had some outstanding results at local and national levels. Homework is set in order to provide children with the opportunity to practise skills and enrich ideas developed at school. It also provides an opportunity for children and parents to interact in learning. 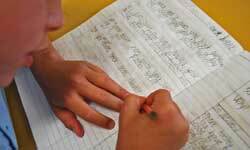 Appropriate homework is set by individual teachers to meet the needs of children in their classes.